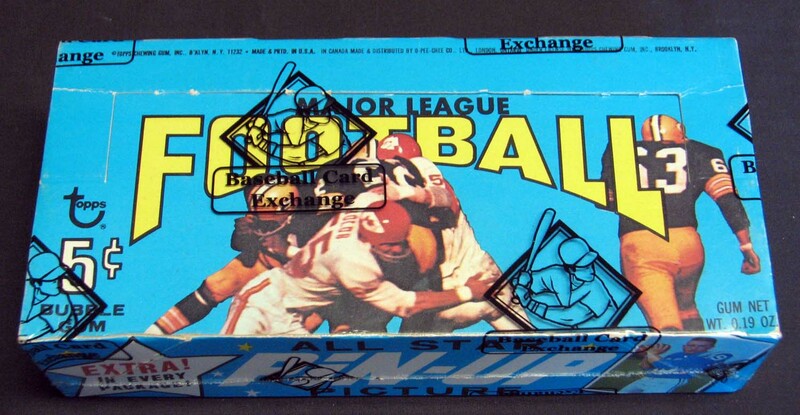 Unopened wax boxes from the 1960s are certainly a rare sight, but even with the great "Beer Box" find we were fortunate enough to offer last year, we didn't come across a 1968 Topps football box like the one featured here. 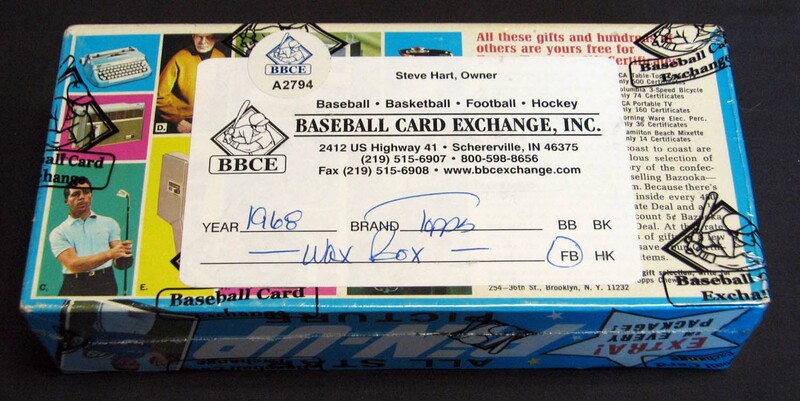 Authenticated and wrapped by BBCE, the artistic baby-blue box houses twenty-four packs with ten cards in each, a total of 240 possibly pristine pasteboards. From card #1 of Bart Starr to Namath, Unitas, Sayers, Butkus and the rookie cards of Floyd Little and Bob Griese, there's plenty to explore if you decide to roll the dice. One of the aspects that makes this box so enticing to the "riverboat gamblers" that love to take the risk is the scant number of PSA 10 examples, with just 275 on the books at PSA for the entire set out of over 32,000 submissions: less than 1% of all that are graded. As an added bonus, each pack comes with a pin-up mini-poster, with possible pulls of Unitas, Starr, Tarkenton and Sayers, none have which are listed on the PSA pop report at the GEM MINT level. In fact, just 4 examples from the entire pin-up set have scored a PSA 10 out of almost 500 submissions, so there's another avenue to make pack-ripping a lucrative endeavor. Then again, with the extreme rarity of boxes like this one, what's the hurry? An exceptional find for the advanced collector of unopened material.